The crypto market is being calm, perhaps getting ready for a strong move. Most of the crypto majors have been moving within a tight range for the second week in a row, approaching the highs and the lows in turns. Most of the digital coins tested the midterm support levels, which could then lead to the resistance test and the correction range widening. 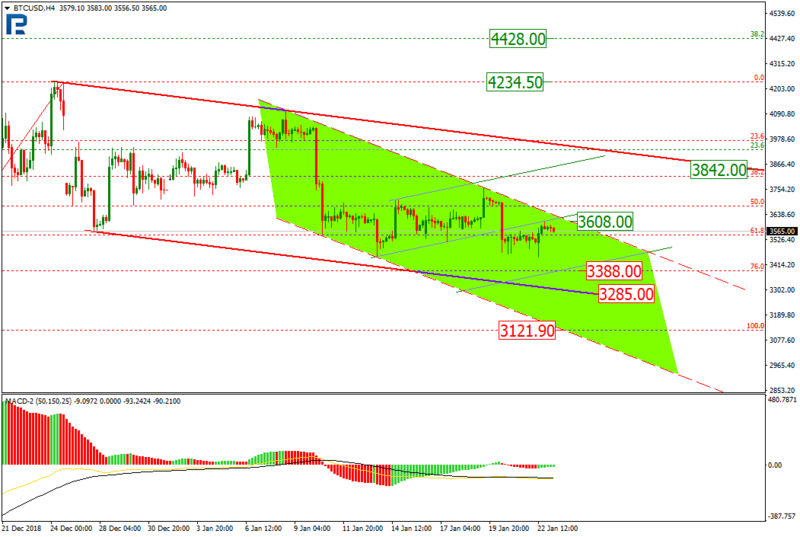 On H4, the BTC is still descending within the overall midterm trend. The correction uptrend was unable to form in full, and the price went down to test the fractal support. 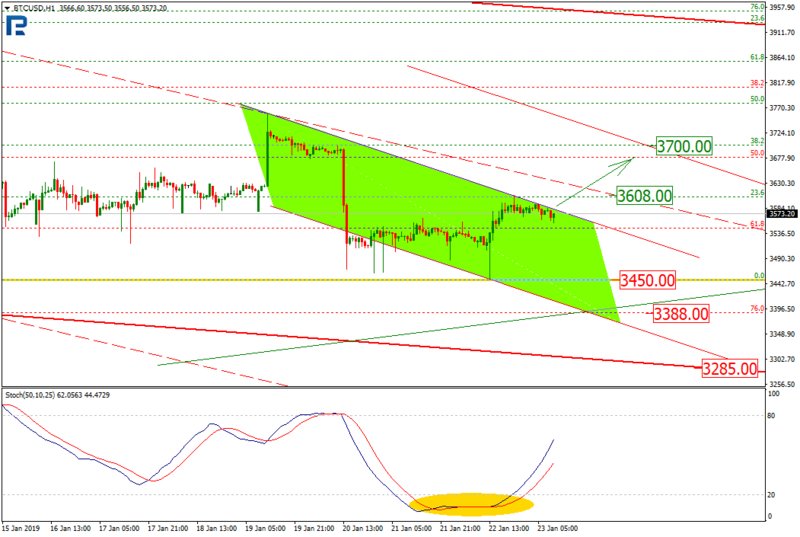 The targets are $3,388 (76% Fibo) and the major midterm support at $3,285. The local resistance at $3,608 may get broken out, too, though, with the price then going to the major resistance at $3,842 and then the high at $4,234.50. 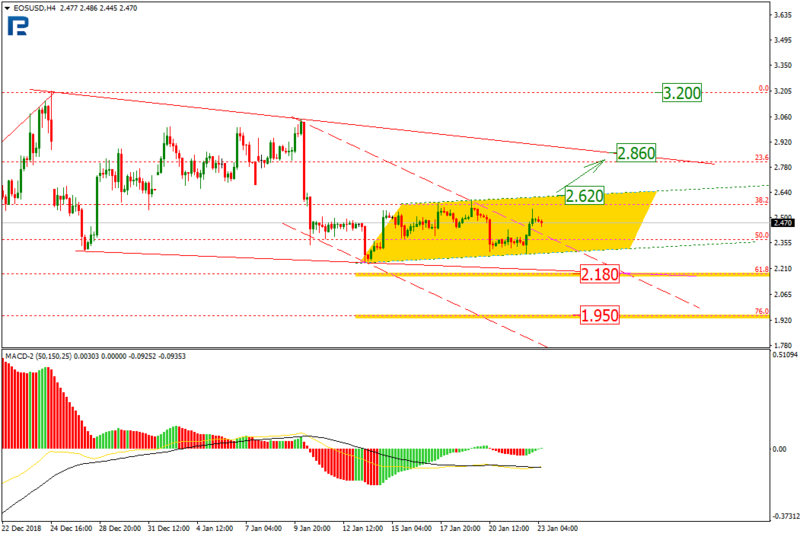 On H1, after the price hit the local lows, the Stochastic converged, while the price is testing the short term resistance. When this resistance gets broken out, the BTC may rise to both $3,608 and 3,700, with the price probably staying above and forming a new uptrend. On H4, EOS broke out the short term resistance and may head further up to reach $3.20. First, however, the price has to leave the local flag pattern and reach $2.62, and then test the $2.86 resistance. While the price is still forming the flag, the MACD is not converging, which may mean the crypto is ready to go down to 61.80% ($2.18) and 76% ($1.95). 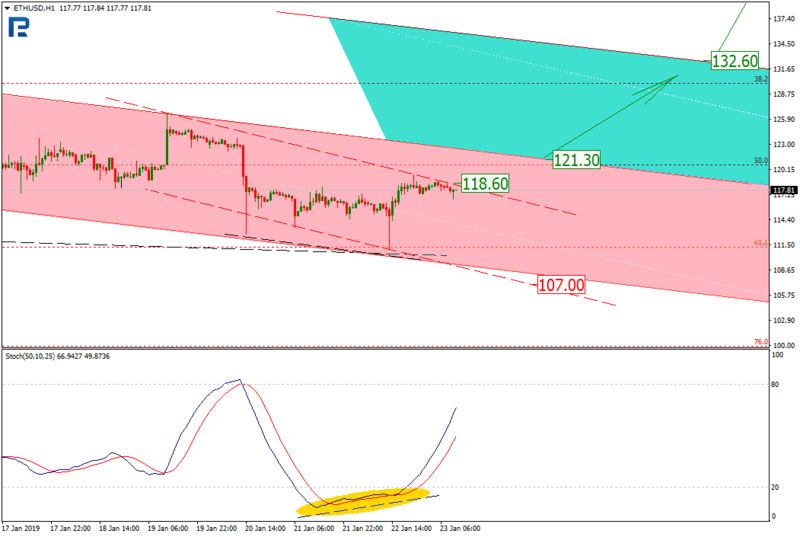 On H1, meanwhile, the price is rising after the Stochastic convergence. The target is still at $2.62, and the support is at $2.39. 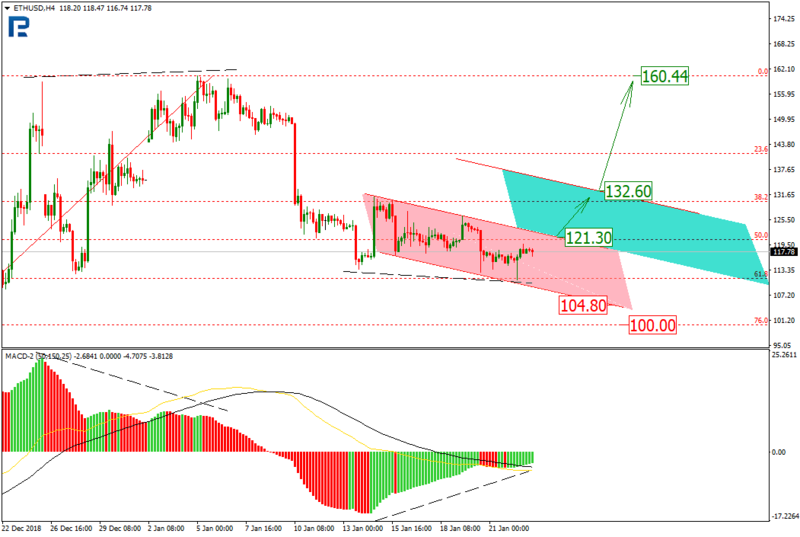 On H4, Ether reached 61.80% Fibo, which could have been the major downtrend target. Besides, the MACD converged, which may also signal a reversal is coming. This may lead to the price hitting the local resistance at $121.30, moving to the upper projection channel, and reaching $132.60. If this is the case, the price will then head to the high at $160.44. The support meanwhile may be found at $104.80. A similar thing is happening on H1, where the Stochastic also converged, and the price is getting ready to test the resistance at $118.60, with the support at $107. On H4, the LTC looks mixed. 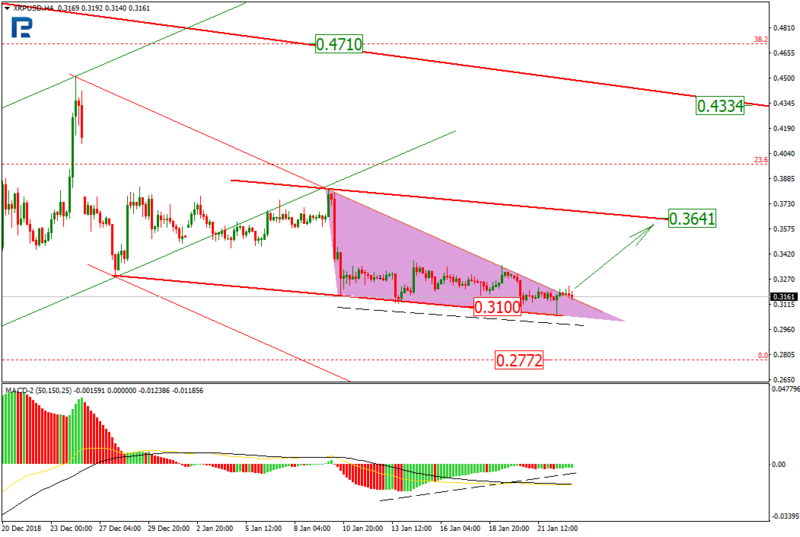 The price may continue going down, while the bounce off 61.80% Fibo may signal a reversal. Anyway, the price won’t be able to head further down without breaking out the support at $30.37. Meanwhile, the short term descending trend resistance is being tested, and in case it gets broken out, the LTC price may first hit $33.74 and then, $37.25. 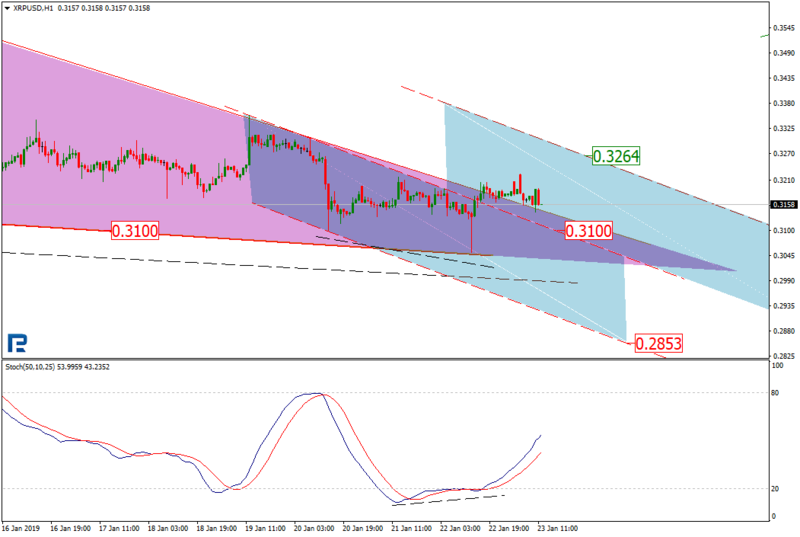 On H1, the price is trying to break out the descending channel resistance territory after the Stochastic convergence. If it succeeds, the LTC may reach $33.74. The local support is meanwhile at $29.45. 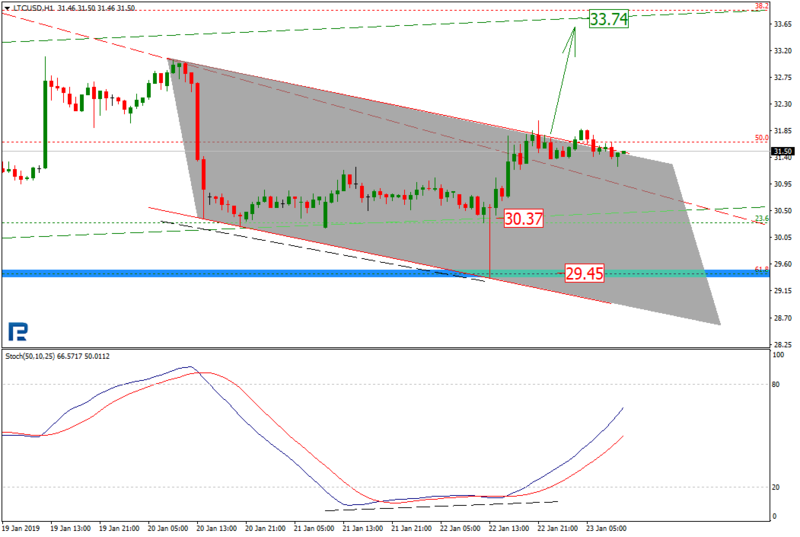 On H4, the MACD is converging, while the price is testing the correction channel resistance, which may mean an ascending trend is near. 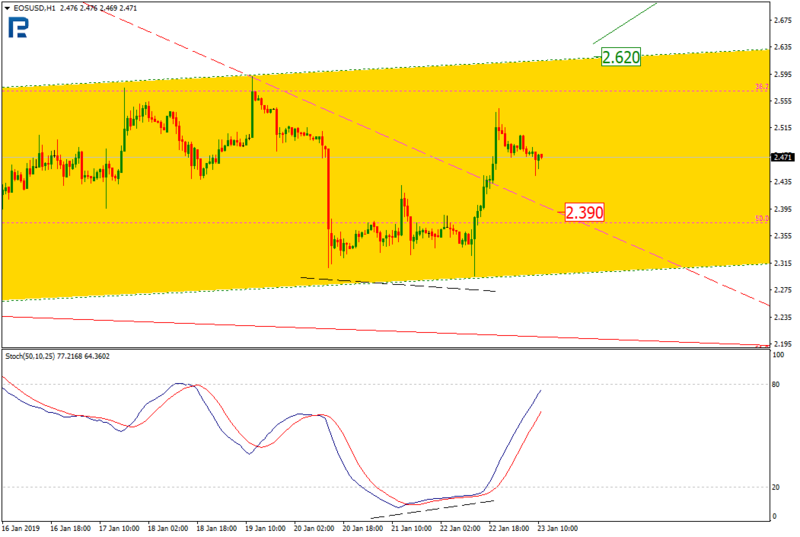 The immediate target is the resistance at $0.3641. Once the price hits it and stays above it, it may test the major resistance, and then the high. The support is meanwhile at $0.3100. On H1, the Stochastic convergence helped the XRP break out the midterm resistance and stay above it. 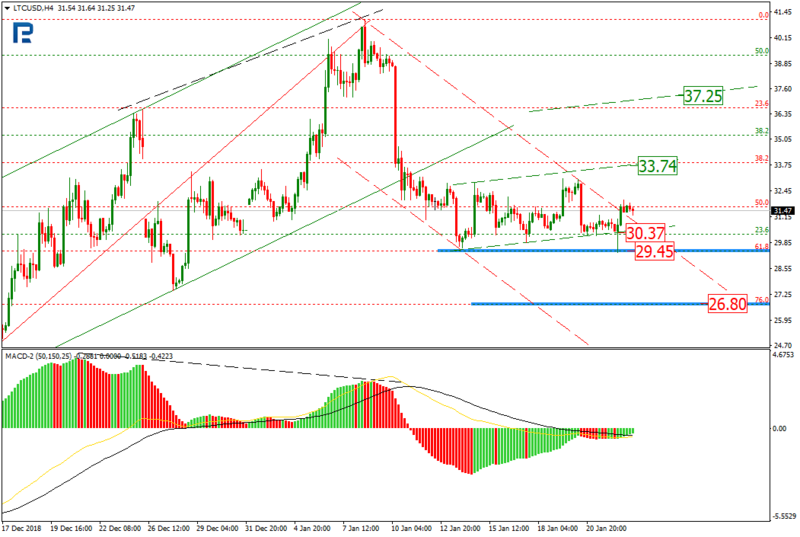 After the pullback to the support at $0.3100, the price may then make another upmove to reach the local resistance at $0.3264.